Earlier this week, European Commission has expressed its continuous support to European Presidency’s efforts of including Bulgaria and Romania into Schengen area. It is a big diplomatic win for Romania, the country which has faced rejection to the entry in the Schengen region several times along with Bulgaria. and Traian Basescu, President of Romania. Time to time Germany, The Netherlands and Finland have played their cards to block or postpone the entry of the two countries. In September 2011, Netherlands and Finland urged the two bidders to do more to fight corruption and organized crime. This year in March, Germany and the Netherlands again launched a strong protest to prevent Romania and Bulgaria entering into the region saying at this stage it would be premature, due to rampant corruption there. During the meeting of Ministers of Interior and Justice of the European Union, in Brussels, unfortunately for both the countries the decision was again postponed to the end of 2013, when they will be again judged on the eligibility criteria. On this occasion, German interior minister, Hans-Peter Friedrich in Brussels said “There are some areas of weakness, such as in the functionality of the judicial system, that prevents us from saying: abolish the borders,” said Friedrich. He warned Germany might witness an influx of untrustworthy people, migrating there “without further control”. After all these development and use of power against the two countries, do we think Romania really needs the entry in the Schengen area? To know what Romanians think about their membership of European Union we asked Gabriela Ionita, Editor in Chief, Power&Politics World. TWR: What do Romanians think about Germany preventing them to enter Schengen Agreement Last Month? 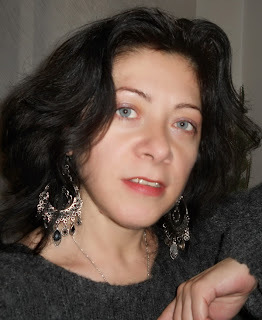 Gabriela Ionita: Romanian people have many other real problems. Discussion about the opposition of some country like Germany, Netherland (official) or France (unofficial) is rather an issue of mass-media agenda. According to a poll, there were in fact seven states that expressed their disagreement regarding Romania`s accession to Schengen zone. Sure, we can speculate about the fact that three of these states are run by the family of European political parties where its part also actual in power party PSD, and the four belong to the European political family where is part opposition party PDL. However, the position of a State to the Schengen expansion is not linked necessarily to European policy, but domestic policy and how it will affected the State. Hans-Peter Friedrich, German Interior Minister and member of the Christian Social Union (CSU), part of Chancellor Angela Merkel’s party, publicly announced that Germany will use its veto, if required, to prevent Romania from joining the Schengen zone. But, we must not forget that Germany is one of the states that negotiated the plan of Romania’s accession to Schengen in two stages, thus overcoming the deadlock from 2012 in the talks on the accession of Romania. TWR: What do Romanians feel about EU? Are they happy to join it in 2007? What are the significant positive changes in Romania after joining the EU? Gabriela Ionita: If we look at the broad aspect, we can say that Romania is one of the European Union countries with a balanced distribution between Euro-sceptic and Euro-optimistic. Of course, joining the EU was a reason of joy for all Romanian. Joining NATO and the EU are the most important steps of the past 20 years. Unfortunately, subsequently, the governments have not been able to intelligently and efficiently utilize the benefits of this membership. The simplest and perhaps the most general result of accession to the EU is the free movement of persons. With all the consequences from here: labour mobility, more opportunities, and the chance to invest in EU countries. Of course, the economic crisis has diminished these opportunities, but Romania will still gain as Romanian state cannot provide working and living conditions at the level of many EU countries. TWR: Do you think Euro has done any better in Romania? Is it promising in terms of Romania’s economic future? Gabriela Ionita: Romania’s accession to the Euro currency area was scheduled to 2015. Nowadays, already there is a discussion of a postponement until 2020. Eurozone has problems in itself, Greece and Cyprus being only the most visible. Presence of Euro currency in Romanian market, of course brought benefits and some drawbacks too, but the transition to the single currency is already another discussion with deeper implications. Now the question here is: Is the Romanian economy strong enough for such a change? The most likely answer is No. In fact we also have examples of countries with a strong economy which regressed after joining the Eurozone. Any automatic increase in prices would be supported by an increase in income of population, which in the current issue of the economic crisis is useless to consider. 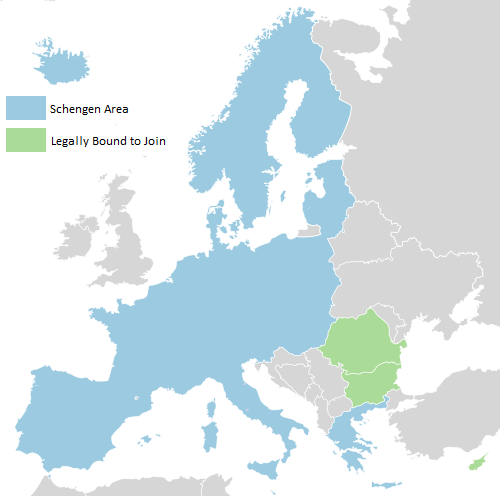 While there is discussion going on to live without Schengen or to not to make this issue its priority, accession to Schengen zone is Romania’s right and it meets the criteria. Saying Germany’s position is rather a political one, Romanian officials have announced a change in strategy to overcome the barriers. Romania will make it necessary for Netherlands and Germany to formally explain their refusal with logic and arguments pertaining to laws and European regulation. This move would put Germany and the Netherlands in difficulty as Romania already meets all the criteria to enter the Schengen region and it has got backing of European commission. If Romania also implements the suggestions and changes which other countries are suggesting, it will not only improve the problems in Romania, but also further pitch its candidacy for the Schengen reform. Romania’s entry into Schengen will give positive signs to the investors, the bank lending rates will decrease and the shares of domestic companies will rise, academics will be on a new high with more students exchange programs possible, and a boon to Romania’s booming IT industry, but a refusal to the entry even at the end of 2013 will be interpreted as a note of criticism to Romanian government for its incapacity to carry out vital reforms in judiciary and other areas.